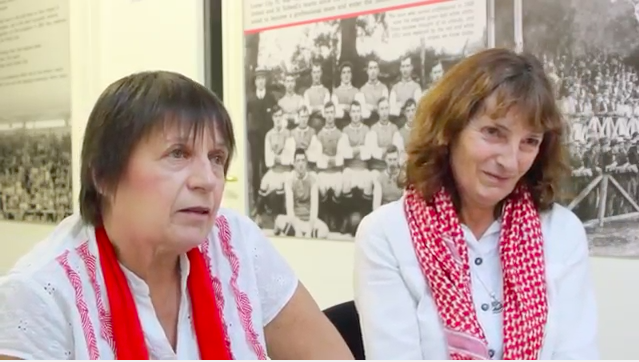 Long time Exeter City fans Jane Gray and Julie Dunlop have missed only a handful of home matches in over 50 years. In this interview they share their memories of the club, including some of the big games it has played against Manchester United and Tottenham. They also recall sneaking out to catch a train to a match, going to school next to a football stadium, and their father's friendship with many past players, including David Pleat, who managed to get a record sleeve of theirs autographed by European Cup players.